The new Mule V series with Activeblock heralds a major breakthrough in hydraulic circuits for post drivers. Traditional thinking has been set aside in view of high efficiency and usability. 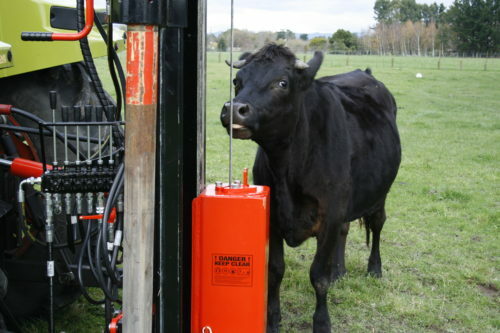 Maximum hit every time on any tractor, excavator or skid steer loader. 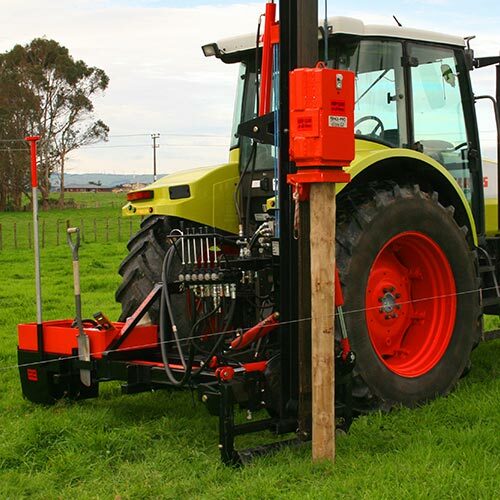 Fast cycle times with no rope whip from the Activeblock gives operators a fast, safe and easy to use high performing post rammer that will simply get the fences built faster. 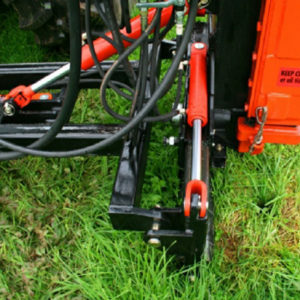 The V stands for versatile and this post rammer is the most versatile machine on the market today. A lot of oil needs to return to the tractor when the block is falling in a normal post driver hydraulic circuit. A standard hose and 1/2” quick coupling cannot handle this much oil, so it would restrict the fall of the block. To substitute for this large flow of oil, an ingenious hydraulic circuit which recycles the oil within the machine was developed. This meant only a minimal amount of oil was returned to the tractor so no restriction took place. This allowed for the use of the ½” QRC fittings as planned. This is known as the Versatile Hydraulic System. The downside to a completely free falling block is the resulting rope whip. A small amount of restriction holds the rope slightly tight so it does not go loose – however this does have a negative effect on the hitting force of the block. Fencepro are committed to getting the best possible transfer of energy from every hit, so the quest for another way to control the rope whip began. The objective is to eliminate rope whip completely and is branded zero whip. Fencepro have a new innovation that has effectively eliminated rope whip. The Activeblock® brand defines the unique action inside the block. 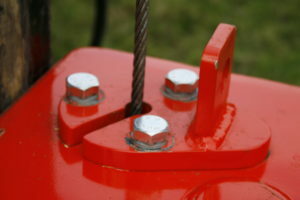 The radical new block design encloses an incredibly simple yet effective invention which takes up the slack of the rope after the block has hit the post or rock spike. This block can be fitted to both the Mule and Ultra series. It is especially necessary when on a Versatile series model, as the efficient Versatile Hydraulic system creates particularly bad rope whip. 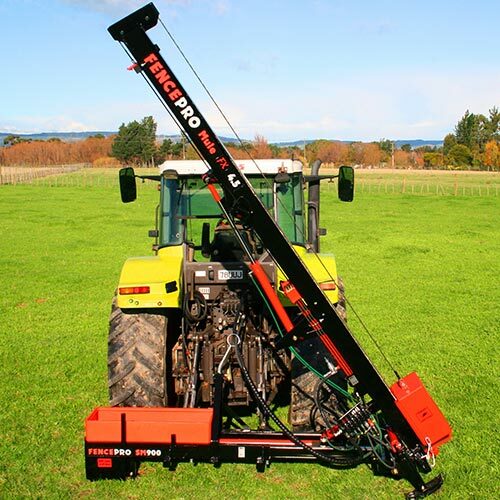 Just to clarify the build spec – you can order a Mule with or without Versatile Hydraulic system. Plumbing post drivers to excavators is nowhere as simple compared to a tractor. 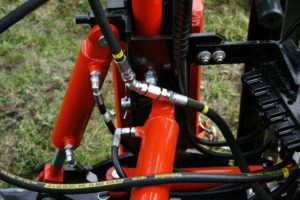 Tractors generally have a plug ready for low pressure oil return to tank, however excavators require a separate high flow case drain to be plumbed to tank. This is often an expensive process. 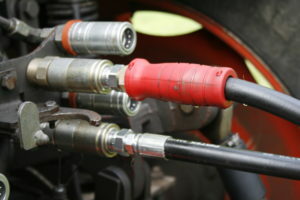 Consequently, swapping a post driver between your tractor and digger is often quite difficult. The new Versatile Series Fencepro post drivers can simply plug into the 1’2” supply and return quick release couplings on both machines, making the transition a breeze.